The Dreamvar Appeal- Strict Liability for identity imposter fraud cases? 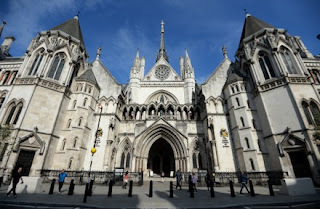 The long and much awaited Court of Appeal decision in Dreamvar (UK) Ltd v Mishcon de Reya and the linked claim in P & P Property Ltd v Owen White and Catlin LLP, has now landed, and for the conveyancing industry, landed with a big bump. In both cases a fraudster posed as the legal owner of the property. Each buyer instructed solicitors to act in the purchase and each transaction completed. The sale proceeds were unwittingly released to the fraudsters and the fraud was only discovered after the money was completely out of reach. The buyers were left high and dry and took action against their advisers. In Dreamvar, the purchaser sued the solicitors acting on the purchase as well as the selling solicitors and selling agent. Even though the judge at first instance had no issues with the purchaser’s solicitors conduct of the transaction they were found liable. On appeal the Court of Appeal has attempted (and in many areas failed) to provide clarity on the following issues, and unfortunately the news for conveyancers and their insurers is not good. The Court of Appeal found that as the selling conveyancers signed the contract in P&P there was a warranty that the selling solicitor’s client, that is the imposter, possessed the authority to transfer the title, and that as the buyer placed reliance on that warranty the selling solicitors remain liable for the losses. It’s not clear what the position would be had the imposter signed the contract and not the seller’s solicitors. 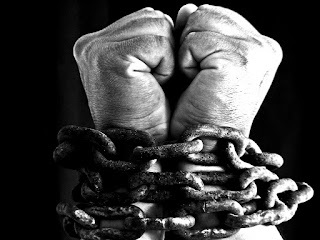 What is clear is that if the seller had included in the special conditions within the contract a clause to the effect no warranty as to the true identity of the seller is given, and that any reliance on any a warranty to this effect is unjustified, the decision might have been different. In practice this could give rise to a stand off between the seller and the buyer and it is clear urgent guidance from insurers, the Law Society and the CLC is required. The late intervention of the Law Society in this appeal represented a lost opportunity to make a marked impact on the decision and as always it is the practitioner which has been left with uncertainty and unnecessary risk. Some good news! As anticipated the Court held a seller’s conveyancer does not owe a duty of care to a buyer. The Court held that the undertaking that forms part of the Code for Completion covers the situation where the funds are received from a buyer in a situation where as in these cases the seller is not the legal owner of the property. Therefore, by releasing the funds to the imposter, the seller’s conveyancer had breached the undertaking. This gives rise to not only professional difficulties, but a sellers conveyancer could also find themselves on the end of enforcement action under summary jurisdiction. I would suggest there is a need for seller’s conveyancers to look to modify the Code and make it clear that the authority to receive is on the understanding that all reasonable efforts to identify the seller as the owner have been made, and that as no warranty to that effect can be given, the undertaking should be viewed as amended in these terms. Again, guidance from the insurance industry and the professional bodies is needed sooner rather than later. Further bad news for the conveyancer. Should the buying conveyancer be excused from their liability for breach of trust under section 61 of the Trustee Act 1925 when they had acted properly, and whether the seller’s conveyancer is liable for breach of trust at all when they innocently release the money to the fraudster. As for the seller’s conveyancer it was held there was a breach of trust as there was not a genuine completion – it goes without saying that completing the transaction on behalf of the fraudster and not the true owner is not a true completion. Unfortunately, little if any guidance on what would constitute grounds for establishing a successful s61 defence was given. If these cases go onto the Supreme Court, which is probable, then hopefully some useful guidance for the industry may be given. Clearly, carrying out good AML checks and having regard to what are now well-established red flags (vacant property, no charge, large sale price) would be a good start. Making sure in these cases that there is evidence tying the client to the property should now be a routine check. However, given the exemplary conduct of the buyer’s solicitors was not found to be sufficient to justify a S61 defence, it is questionable whether a S61 will still be an option, irrespective of the steps a conveyancer takes. This is bad news on all fronts as it could lead to a sizable increase in PII premiums. It also gives rise to the possibility of the seller’s conveyancers saying to the buyer’s conveyancer that they may wish to perform their own checks on the seller before proceeding. The buyer’s conveyancer may in turn advise their client whether they wish to proceed with a transaction where there is no warranty given as to the identity of the seller. In other words, putting the risk at the door of the buyer. In Dreamvar the first purchaser pulled out for this very reason. It seems we are close to seeing a strict liability era for conveyancers who unwittingly find themselves on the wrong end of imposter fraud of this type. How the insurance industry reacts to this remains to be seen. There is no outright winner in this game - its all about compromise and making the client aware of the risks where these exist. GDPR- What, How When, Where, Who? In an increasingly digital world, it is arguably harder to keep track of what we have bought, who we have spoken to, what we have signed up to and more importantly, where our data is held. When we receive the telephone calls about accidents that we never had or emails from a friend who is supposedly stuck in Thailand after being involved in a tuk tuk collision, it often worries us how our details ended up in the hands of these rather ominous places. Organisations have become wise to the trends in consumer behaviour; namely, we want things done quickly and efficiently with as little bureaucracy as possible. A trend that has been exploited by firms using pre-ticked boxes and electronic receipts as consent to marketing as a way of increasing their customer base and decreasing consumer knowledge. Well, four letters have the potential to shift the power back to the consumer and those four letters are G.D.P.R. You may have only just started to hear the acronym being used or might not be aware of what it even means but organisations all over Europe are currently working on becoming compliant with what is being dubbed the biggest change to data protection law in the last 20 years. 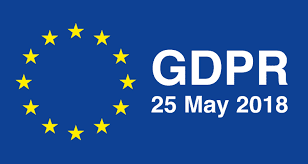 This article will give you a brief understanding on the EU General Data Protection Regulations (GDPR) and what MJP Conveyancing has been doing to ensure compliance for our clients. 1998; the era of chunky Nokia flip phones and dial up computers. 1998 was also the year that the Data Protection Act was introduced setting out 8 principles governing the use of personal information. Since 1998 we have witnessed technological growth on a scale far greater than we can process resulting in inadvertent cultural trends and an increasing imbalance of power in favour of the producer rather than the consumer. Let’s take the Tesco Clubcard as an example. Introduced in 1995, the Club Card was arguably introduced to gain a competitive advantage against its rivals by offering perks to returning customers. Since 1995 however, the growth in technology and types of data collected through the Club Card has enabled Tesco to gain a better understanding of their customers’ shopping habits such as what meals people like to eat, whether people like to cook from scratch or how many people are in the household based on the number of toilet rolls a customer purchases. My point? It is clear to see how data collection and analytics are changing at a rapid pace and there has been a growing need to modernise data protection legislation in order to protect how our data is shared and utilised by organisations. The General Data Protection Regulation (amongst many other functions) seeks to bring data protection legislation into the 21st Century by protecting the fundamental rights and freedoms of natural persons and in particular their right to the protection of personal data. How does GDPR seek to modernise data protection regulation? There are various ways in which GDPR seeks to modernise data protection laws such as appointing a Data Protection Officer, Free Subject Access Requests and the relationship between data processors and controllers. These 8 rights amongst other things aim to provide individuals with a higher degree of access to their data as well as more transparency around how it is processed. What’s more, the GDPR explains how companies must provide a ‘reasonable’ level of protection which in itself provides the Information Commissioner’s Office with a lot of scope to fine companies who are in breach of these rights under the regulations. Another modernisation to the data protection act through GDPR is the mandatory requirement to report Data Breaches within 72 hours to the ICO which was not under the Data Protection Act. Companies such as Carphone Warehouse, Facebook, Under Armour and My Fitness Pal have been in the press recently for Data Protection breaches, but it is not just the big guys that face liability. Small and large companies are under an obligation through Article 33 of the GDPR. With fines as large as €20 Million or 4% of total global turnover as versus maximum fines of £500,000 under the Data Protection Act, not only is GDPR enabling regulatory bodies to clamp down on bad practice, but are also providing clients with a satisfying remedy knowing that their data has not financially benefited business. Overall, these regulations reflect a changing technological landscape which in turn has required our legislation to impose a greater degree of responsibility for those who control and process as part of their business. GDPR comes into force on the 25th of May 2018. MJP Conveyancing have been working since December 2017 to ensure full compliance with the regulations. A dedicated team of inhouse staff have worked through a project list and we are now confident that we are compliant with the regulations. You may be thinking why I have taken then time to write this article given that the GDPR regulations are a piece of EU legislation and doesn’t apply to us because of Brexit. This is in fact wrong and the UK will have to prepare for GDPR as with all the other organisations within the EU in line with Article 3 of the GDPR . MJP Conveyancing has been working tirelessly to comply with the GDPR regulations having successfully run a re-permissioning campaign, risk assessments and audits, staff training and various policy changes. We feel ready for the regulations and hope to provide our clients with a safe, transparent and reliable service which is really the ultimate aim of these regulations. See you on the other side of May 25th! 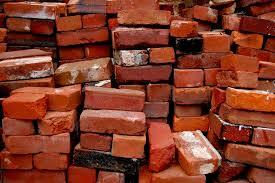 Can a party wall surveyor be sued for negligence? The vast majority of surveyors who work within the party wall arena discharge their duty in a competent and ethically driven manner. There are however, a small minority who continue to let the side down. They operate outside the ambit of their statutory appointment and with little attention or care for the interests of the home owners they touch along the way. This presents a problem for many, since once appointed it is very difficult to remove a party wall surveyor. The involvement of an unethical surveyor can often lead to a whole heap of misery and financial loss for the unwitting appointee and or adjoining owner. I am often asked whether faced with this situation is it possible to bring an action against the rogue surveyor to seek legal redress for loss stemming from the negligent delivery of the service provided. In other words, can a party wall surveyor be sued for negligence. For an action in negligence to succeed the claimant will need to show that a duty of care exists, that the surveyor involved has breached that duty, and that there is a causal link between the breach and the actual loss suffered by the claimant. All of these elements must exist. So for example, if there is no loss then there is no entitlement to damages even if a breach can be proved. There is a clear contractual and common law duty owed by a party wall surveyor to the appointing home owner. The duty is to undertake work with reasonable care and skill. Following a section 10 of the Party Wall Act 1996 appointment, there is also a statutory duty owed, not only to the appointing owner, but also to the adjoining owner. It has been suggested that each surveyor owes a duty of impartiality to each of the appointing parties and that this must take priority to the interests of their own appointing client ( Anstey, J., Party walls and what to do with them, RICS Books 1996, p. 15. See also Anstey, J., Trouble with the Neighbours, College of Estate Management 1983, p. 21). So in what circumstances could a breach arise? The most obvious breach is bias, where a surveyor clearly fails to take into account the interests of both parties. This is not to say one surveyor should not be able to adopt a position which is contrary to that of the other surveyor. Indeed, this is the reason a third surveyor is often appointed. There is nothing wrong with positioning, however the Act has more to do with serving the interests of the parties. As explained the surveyors are under a duty to act fairly and within the spirt of the Act, and to ensure they do not lose sight of the enabling purpose of the Act. The parties are not interested in the construction and interpretation of the Act, the building owner is looking to complete the works, and the neighbouring owner is keen to know what work is to be carried out and what measures will be in place to protect the neighbouring property. So those surveyors who look to create disputes which do not exist and or who use the statutory procedure to constantly argue for no purpose other than to cost build, could clearly be viewed as failing to discharge their statutory and common law duty of care. Equally, a surveyor who fails to assist parties to reach a quick and inexpensive resolution of issues could also be exposed to a negligence clam. It is clear from the Court of Appeal decision in Gray v Elite Town Management (2016) that the “the statutory procedure is intended to be a simple, inexpensive dispute resolution mechanism”. It could also be argued that a breach could result from a surveyor failing to advise his appointing owner or indeed both owners of alternative dispute resolution options, such as mediation, when, as often occurs, there is a deadlock between the parties. In the case of a surveyor acting outside of his or her statutory appointment, through, for example, raising countless argument on issues which are no longer in dispute, and or constantly moving the ‘goal posts’, and or unnecessary protraction of the process, and or obstructing/hindering the proceedings and or acting in a confrontational manner, and or using the Act for personal gain, there may exist sufficient evidence to prove a breach. If it can be shown that there is link between the breach(s) and actual financial loss, then the affected party or parties could very well be in a position to bring a negligence claim against the offending surveyor to claim damages. The general aim of an award of damages in tort is to restore the claimant to his pre-incident position. In contract, on the other hand, the aim of a damages award is to put the innocent party in the position he would have been in had the contract been performed. Negligence actions are not for the faint-hearted, though do keep in mind that surveyors operate with professional indemnity insurance cover, and that once a claim is intimated you should find yourself dealing with the surveyor’s insurers rather than the surveyor direct.